GP7s 585 and 626 at Fort Smith, Arkansas on February 15, 1962. This entry was posted in Slides and tagged 585, 626, Electro-Motive Division, GP7. Bookmark the permalink. 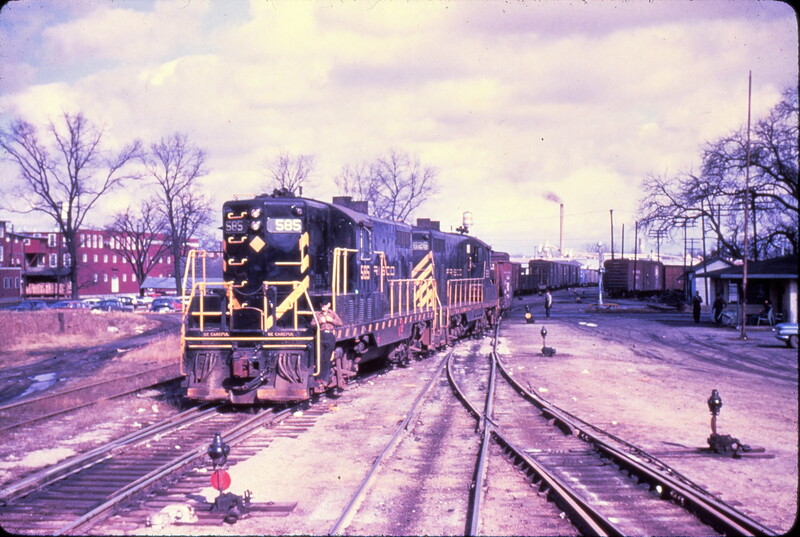 Is the building to the right with the men the Fort Smith yard office? Looks like a building identified as such in “Frisco in Color,” but I’ve never seen a good, full view of it.